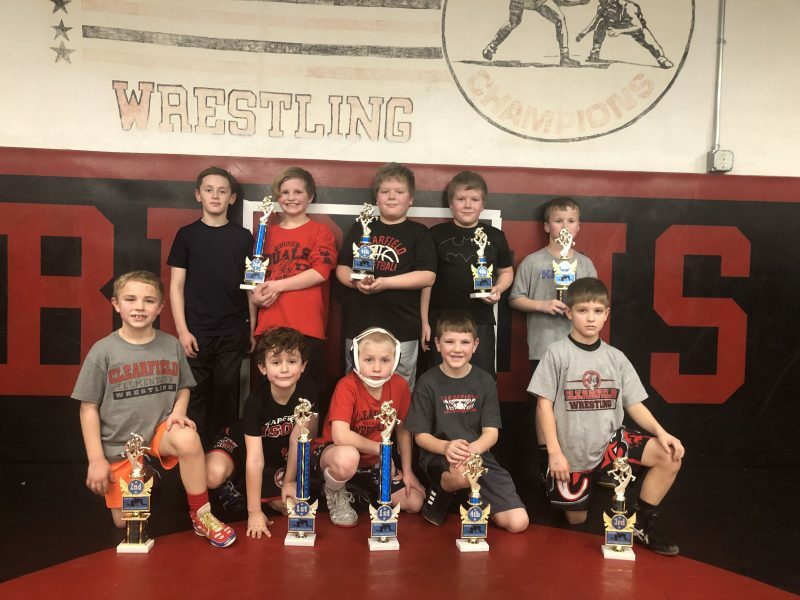 WINGATE — Clearfield Youth Wrestlers competed in the Keystone Wrestling League Championships on February 10. The league consists of 15 schools from Clearfield, Centre, Mifflin, Cambria, Juniata and Blair counties. Front L to R. Dom Natoli 2nd, Trapper McKendrick 1st, Bo Aveni 1st, Curtis Putt 4th, and Noah Troxell 3rd. Back Row L to R : Brunson Chamberlain 2nd, Colten Bumbarger 2nd, Colby Guiher 4th, Caleb Guiher 4th, and Brody Ryen 2nd. Missing from Photo Monte Dietrich 4th.